The US stock market, as seen by the S&P 500, rose an impressive 3.8% during the third quarter of 2016. The gains propelled the S&P 500 to a new all-time high, with market participants shrugging off concerns over a summer siesta, the political election cycle negativity and possible forthcoming interest rate tightening. In our second quarter commentary we talked about negative interest rates and the general yearning for stability, as well as our preference for more economically-sensitive areas of the market. The third quarter cooperated in this regard, as the two best performing sectors in the market were financials and technology. One development that helped these sectors was the hint of a rethink by foreign central banks about their policy of negative interest rates. In addition, there seems to be growing concern within the Federal Reserve about the negative effects of keeping interest rates near zero for so many years. In this quarter’s commentary, we thought it might be beneficial to answer the questions we receive most frequently from clients and consultants. These questions tend to be about the most pressing issues and most feared outcomes. Q: What effect will the US Presidential election have on the stock market? A: In our opinion, very little. The stock market does an excellent job discounting events that are many months in the making. The fact that equities have achieved strong gains over the last year confirms it is not a dire issue. Election cycles tend to highlight divisive issues for media attention, but rarely are such extremes reality. Furthermore, the stock market has experienced both bull and bear markets under Democratic and Republican presidents. Most studies that look at the historical market gains based on one party versus another are generally flawed. They tend to either exclude dividends, don’t account for starting valuation levels prior to an election, consider major wars, or are able to eliminate other factors. The stock market’s success is complicated and affected by many issues. Limiting those factors to just which party is in power is naïve and essentially a literary sound bite. All this said, there is the potential for additional market volatility if Mr. Trump wins, given that it would surprise the market and that he maintains an anti-trade stance. Q: What are your thoughts on the United Kingdom leaving the European Union? A: The UK’s decision to leave the EU did surprise many. However, since a Brexit will not occur for many quarters, with significant negotiations still to be ironed out, the effect on the US stock market has been fleeting. Over time, there may be some issues to consider. The UK might experience a recession, be dealt unfavorable trade terms, and suffer credit issues and currency woes. These are worst-case scenarios that seem remote. The EU has an incentive to make the UK’s exit as painful as possible to discourage other nations from pursuing a similar referendum, and any divorce is rarely amicable. Fortunately the UK did not commit to the EU as meaningfully as other members states. It retained the British Pound as its currency and its location will make its immigration policy easier to affect. The European Parliament is also infamous for bureaucracy and acting slowly. The notion that ‘time heals all wounds’ has been the default concept behind their dealing of the subprime crisis of 2008. It is unlikely a quick Brexit will occur succinctly and decisively given its complexity. Once Article 50 is triggered by the UK government to start the exit process, it will probably take the full two years to reach a comprehensive arrangement. Q: Should investors be concerned about rising interest rates? A: Not yet. The Fed has been preparing the stock market for higher short-term interest rates for well over a year. Forecasted events generally have less impact on stocks, apart from short-term volatility problems. Since the Fed is unlikely to raise rates without signs of a sustained economy or job market, higher rates could be seen as confirmation of a healthy economy. In reality, the Fed is raising rates to rearm their financial tool kit in case it needs to aid the economy in another crisis. We don’t fear this rearmament, nor do we think inflation is a legitimate near-term threat. (See Emerging Market question below). We feel rising interest rates should in fact benefit Oak Associates’ investments. We continue to believe that US financial institutions have yet to fully receive appropriate valuation levels following the sub-prime crisis. Despite their expansion in book values, healthy balance sheets, higher reserves and stronger collateral, their revaluation has been slow. Depressed margins, due to the low interest rates, are a large reason this has not developed. Since higher rates will boost earnings power, Oak has positioned its portfolios to benefit from the combination of stronger book values, healthier balance sheets, and margin expansion. The real problem regarding the Federal Reserve raising interest rates is whether they eventually commit a policy error. This would occur if they raise rates too quickly or by too much. This is something to watch going forward. Q: Are stock market valuations too high? A: Relative to history, yes, some sectors are overvalued. Relative to bonds, no certain areas of the market are expensive relative to history. For example, more defensive sectors and high dividend-paying stocks are at extreme valuation levels. Given their decade-long run and high valuations, investors should expect low returns going forward from these strategies. These areas have tended to be those that attracted investors interested in stable companies, dividend payment in lieu of low-yielding bonds, or low-volatility strategies. Relative to bonds, stocks are very attractive. Per Bloomberg, as of 10/6/2016 the earnings yield on the S&P 500 is around 5% compared to the yield of 1.6% on 10-Year US Treasuries. Bonds can also suffer badly in rising rate environments. Financial and technology stocks are still very attractively valued, given their earnings yield, cash flow, and strong balance sheets. Energy stocks also appear attractively valued, but their outlook remains suspect. Opportunities still exist and favor active management over indexing given the skewed valuations across the market. Q: What would cause Oak’s outlook to change? A: As always, stock market valuations are important. Too much euphoria or irrational exuberance would be a concern. Fortunately, skepticism towards stocks remains prevalent, despite their strong performance recently. Currently both Presidential candidates are talking tough on trade. Any actual legislation that would restrict trade would be a problem for the economy. While we favor job growth, restrictive policies or tariffs would be detrimental. Finally, high inflation is problematic for both growth and valuations, a bad combination. For now, growth is slow, with inflation and interest rates low. This is a good environment for stocks. Q: Does Oak Associates have a dividend-based or low-volatility product? A: No. And given the high valuations of both dividend-based strategies and low-volatility products, we believe investors should be cautious of these vehicles going forward. Not only are they financial products constructed to curry favor with investors’ demands, they also tend to rise and fall with historic regularity. The driving force behind their growth has been a search for yield and stability in a low interest-rate environment. The flow of funds into these strategies has been a virtuous cycle, for now. Dividend policy has changed over time and we are seeing a lot of companies now paying dividends that would not have considered it a decade ago. Yet a dividend alone says little about a company or its prospects. Investors expecting these products to provide income and growth are more likely to experience bond-like returns. Q: What are your views on emerging markets, Japan, and commodities? A: Emerging markets are diverse. Some look attractive, others do not. Japan is embarking upon unprecedented steps to rescue its economy and thwart twenty-year deflation. It is a high-risk, high-reward proposition. Due to the demographic situation in Japan and cultural difficulty in enacting secular economic changes, it is not surprising that the country is in search of new economic bazookas. For now, it remains a test case for other countries facing high budget deficits and aging populations. Commodities are tied to emerging markets and their appetite for raw materials. If, as a whole, their economic growth remains slow, commodities should underperform. The sector does well when companies cannot adjust capacity or anticipate significant demand changes. Since China is embroiled in a major economic shift from an investment-driven economy to a consumer-driven one, a return to the rapid growth in commodities we experienced in the 2000s is probably unlikely. We don’t mean to say it cannot occur, just that strength in emerging markets of Brazil, Russia, India and China (the BRICS), and/or inflation is needed to turn a very cyclical sector into a secular investment. As always, thank you for investing with Oak Associates. To determine if this fund is an appropriate investment for you, carefully consider the fund’s investment objectives, risk factors, charges and expenses before investing. This and other information can be found in the fund’s prospectus, which may be obtained by calling 1‐888‐462‐5386 or visiting our website at www.oakfunds.com. Please read it carefully before investing. Past performance is no guarantee of future results. Investments are subject to market fluctuations, and a fund’s share price can fall because of weakness in the broad market, a particular industry, or a specific holding. The investment return and principal value of an investment will fluctuate so that an Investor’s shares, when redeemed, may be worth more or less than their original cost and current performance may be lower or higher than the performance quoted. Click here for standardized performance. 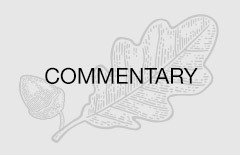 This manager commentary represents an assessment of the market environment at a specific point in time and is not intended to be a forecast of future events, or guarantee of future results. This information should not be relied upon by the reader as research or investment advice. The statements and opinions expressed are those of the author and are as of the date of this report. All information is historical and not indicative of future results and subject to change. Readers should not assume that an investment in the securities mentioned was or should be profitable in the future. This information is not a recommendation to buy or sell. The S&P 500 Index is an unmanaged index, and its performance does not reflect management fees, transaction costs or expenses. The S&P 500 Index consists of 500 stocks chosen for market size, liquidity, and industry group representation. It is a market-value weighed index (Stock prices times number of shares outstanding), with each stock’s weight in the Index proportionate to its market value.